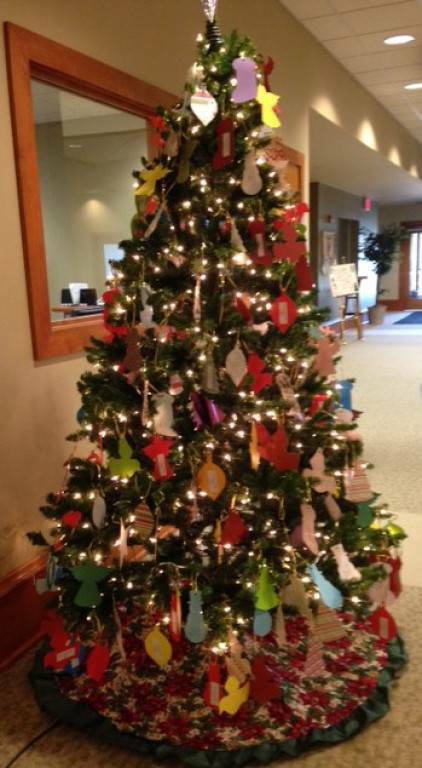 St. Gabriel Giving Tree supports our sister parish, the Congregation of the Great Spirit, to provide needed items, and some fun gifts as well, for the people who come through their Food Pantry. • Place items under the tree by the designated return date. The items on the tags will be for items these people never seem to have enough of and really need—sweatshirts or hoodies—and then for fun, a board game. If anyone wishes to give something extra, blankets—twin or full size only—would also be appreciated.